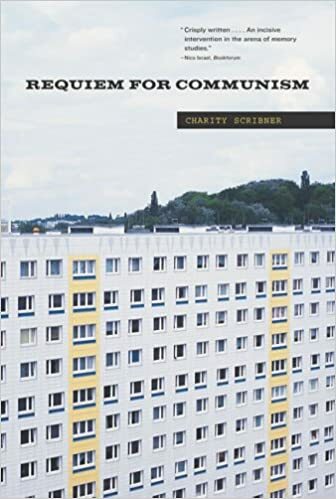 In Requiem for Communism Charity Scribner examines the politics of memory in postindustrial literature and art. Writers and artists from Europe's second world have responded to the last socialist crisis with works that range from sober description to melancholic fixation. This book is the first survey of this cultural field.Today, as the cultures of Eastern and Western Europe merge into the Infobahn of late capitalism, the second world is being left behind. The European Union has pronounced obsolete the structures that once defined and linked industrial cities from Manchester to Karl-Marx-Stadt--the decaying factories and working collectives, the wasted ideals of state socialism and the welfare state. Marxist exponents of global empire see this historical turn as an occasion to eulogize "the lightness and joy of being communist." But for many writers and artists on the left, the fallout of the last century's socialist crisis calls for an elegy. This regret has prompted a proliferation of literary texts and artworks, as well as a boom in museum exhibitions that race to curate the wreckage of socialism and its industrial remnants. The best of these works do not take us back to the factory. Rather they look for something to take out of it: the intractable moments of solidarity among men and women that did not square with the market or the plan.Requiem for Communism explores a selection of signal works. They include John Berger?s narrative trilogy Into Their Labors; Documenta, the German platform for contemporary art and ideas; Krzysztof Kieslowski's cinema of mourning and Andrzej Wajda's filmed chronicles of the Solidarity movement; the art of Joseph Beuys and Rachel Whiteread; the novels of Christa Wolf; and Leslie Kaplan's antinostalgic memoir of women's material labor in France. Sorting among the ruins of the second world, the critical minds of contemporary Europe aim to salvage both the remains of socialist ideals and the latent feminist potential that attended them.